Nature can be harsh, and messy, but your home's exterior doesn't have to be. 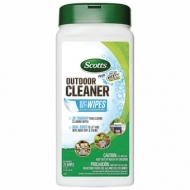 With Scotts Outdoor Cleaner House and Siding with ZeroScrub Technology, your house and siding won't just get clean, they'll stay clean so you can enjoy your outdoors longer. Application is easy, just connect the bottle to your outdoor garden hose, point and spray on a calm, dry day. No power washing or scrubbing needed. It removes stains on vinyl, stucco, wood, composite wood, shingles, stone, cement, brick and many more surfaces. The beauty of your home's exterior will start to return in as little as 24 hours with Scotts Outdoor Cleaner House and Siding with ZeroScrub Technology. Dual sided. Textured side to lift tough dirt and stains and a soft side to wipeaway grime to finish the job. 25% bigger wipe. 2x more surface are coverage than other wipes. Designed specifically for outdoor surfaces(ie: plastic chairs, boat interiors, patio tables, grills, wood, toys, window trim and more). Contains Hydrogen Peroxide. 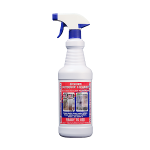 Wet & Forget Outdoor, the easy spray & leave outdoor cleaner. 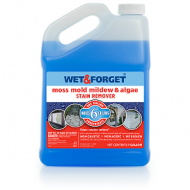 Eliminate tough moss, mold, mildew, lichen and algae the easy way. Simply dilute Wet & Forget with water, in a pump-up garden sprayer, and apply to your walkways, roofs, siding, deck or any other outdoor surface and your job is done! Wet & Forget goes to work with the wind and rain to gently clean the surface over time. 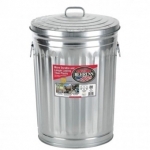 No more scrubbing, rinsing or power washing! Wet & Forget’s gentle, bleach-free formula is safe for use on virtually any outdoor surface. 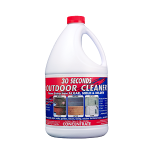 30 SECONDS Outdoor Cleaner cleans stains from Algae, Mold and Mildew. 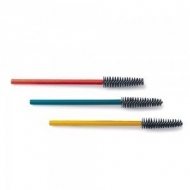 It is our most popular product for an instant clean. The original since 1977, tried and true. Just spray on and hose off! No more pressure washing. 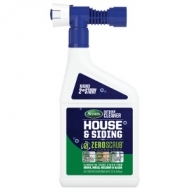 30 SECONDS Outdoor Cleaner is safe to use around your lawn and plants when used as directed. 30 SECONDS Outdoor Cleaner breaks down once rinsed into the soil.. It works on a variety of different surfaces: wood decks, concrete sidewalks, asphalt driveways, brick walls, most canvas awnings, plastic outdoor furniture and vinyl siding...just to name a few. If it's outdoors and dirty from all your humidity or wet weather, 30 SECONDS Outdoor Cleaner can clean it all. 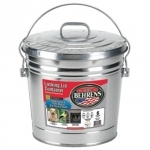 30 SECONDS Outdoor Cleaner® - 1 Gallon Conc.